Do you have a family member soon to become a great grandmother? If so, make sure to find the right gift for this most special of promotions! 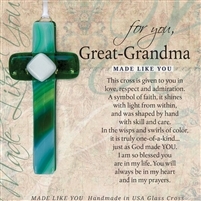 The Grandparent Gift Co. carries the best gift ideas for great grandma. Every great grandchild is a treasure; help great grandma commemorate and cherish the experience. All of our gifts for great grandmother come from the heart, because that's all she wants. 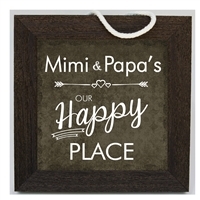 Our Great-Grandma Life Story frames take her back to where she's been and are always a hit. Or, give her a Great-Grandchild Impressions Frame to remind her of how tiny her great grandbabies once were. Whatever the choice may be, these gifts for great grandma are heartfelt selections - tried and true classics that she's guaranteed to love.